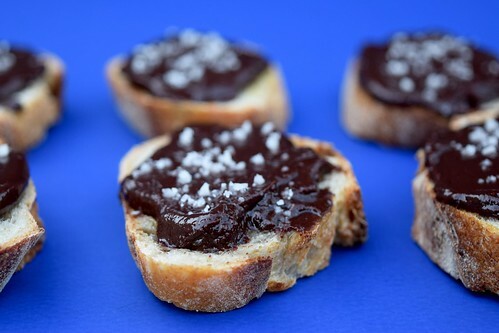 How is it possible that this classic, chocolatey, Spanish dessert is not a household name? And why has it taken so long for Ryan to tell Adam about this magnificent treat that he grew up with? There are many questions in life that remain a mystery. Recognizing this, the best advice for Adam is to just let it go, be thankful that he now knows the recipe, and to make up for lost time by preparing this as often as possible. You don’t need a fancy tagine to make this easy and delicious Moroccan dish. Since it is vegetarian, it cooks quickly and any large covered pot in your kitchen will work! Tagines are the original slow-cookers, and these African clay pots are traditionally used to simmer stews for hours over hot coals, using the cone-shaped lid to enhance the flavors by trapping steam and returning the condensation back into the pot. If you do decide to buy one, they are widely available at kitchen stores and online. 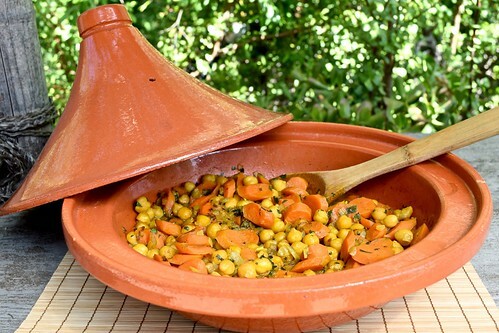 But either way you can still prepare this exotic delicacy, in which sliced carrots and tender chickpeas are simmered with onions, freshly chopped garlic, and blended with aromatic spices of turmeric, cumin, and cinnamon, creating a deliciously satisfying dish with the irresistible fragrances and distinctive tastes of Morocco. We were thrilled to find a vegetarian version of this family favorite. When we were growing up, we were always excited to have sloppy joes for dinner, and every time it felt like a special treat. But what made them so appealing? Perhaps it was the tangy sauce, with a sweetness that felt indulgent and almost dessert-like. Maybe it was the silly name, or that they were just so messy and fun to eat. Whatever it was, they were so good that you couldn’t help eating more than one. 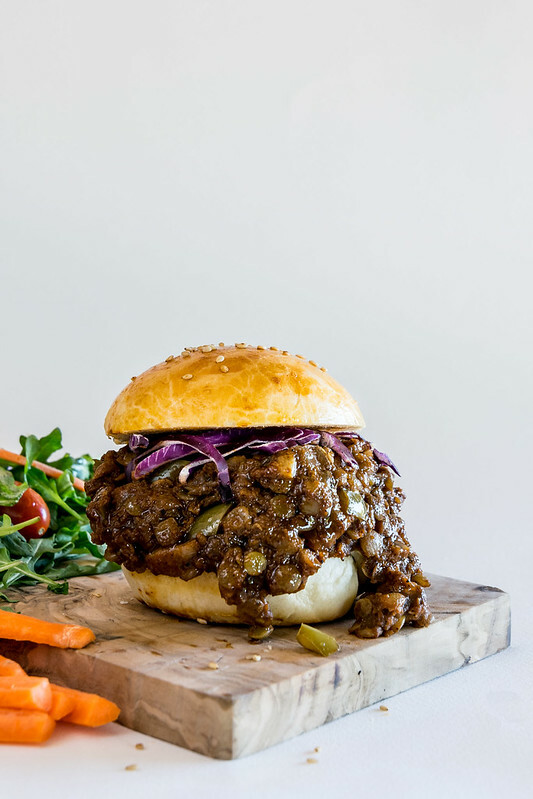 Hats off to the Veganomicon for creating this tasty alternative that has the same smoky, tangy, sweet, and savory flavor as the classic recipe, but simply without the meat. We make this traditional sangria recipe any chance we get during the summer, and every time it is a huge hit. This cool and refreshing Spanish drink made an appearance at every outdoor party and family event when Ryan was growing up, as it is one of his dad’s signature specialties. 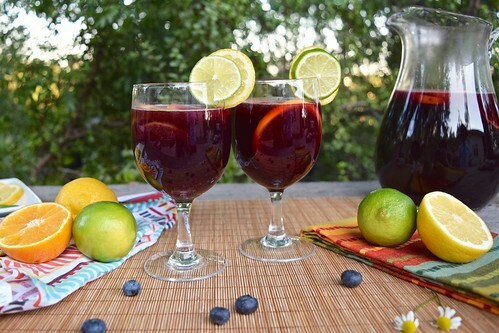 The deep burgundy wine blends with freshly-squeezed oranges and lemons, a splash of sparkling club soda, slices of colorful fruit, and just a hint of sugar to make an irresistibly delicious beverage that is so satisfying on a hot summer day. We are writing this to you from 38,000 feet, returning from our cousin’s wedding in Bilbao, which lies on the beautiful coast of northern Spain. It was a festive weekend with lots of music, dancing, family, and delicious Spanish cuisine. Just before we left for this trip, we made a dessert and planned to write about it on our way back to Los Angeles, since we knew there would be plenty of time on the ten-hour flight home. 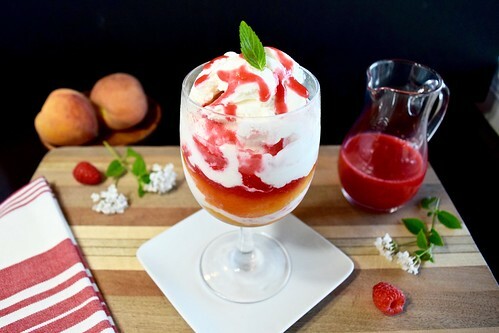 Imagine our surprise when the in-flight meal included the exact same dessert: Peach Melba!